I am not referring to the iPhone here. The Oculus Rift stands toe to toe with the greatest tech innovations of all time. in 1999 Neo had to drill a hole in his skull to enter the Matrix. In 2013 we just have to wear the Oculus Rift. Words cannot describe it. You have to wear the Oculus to get it. It is unlike anything you have ever experienced before. Think of how it felt to use the touch interface on the iPhone the first time. Multiply that by 10, and that’s how you feel after you have been in the Rift. When you wear it, you are in that world. You are NOT in your room anymore. Walk close by to a NPC and you will feel like its there in the room with you. You could touch them if you put your arms out. A small butterfly flying towards your face will want to make you look away. Immersion has never been so powerful. It stands to its ‘epic’ title. This is the most insane, amazing experience of them all. You are ACTUALLY riding a DRAGON! The videos online don’t do it justice, but when you visit it in the Rift, you will squeal with delight. City 17 feels REAL! When the guard walks towards you with a baton in his hand, you will want to turn away and run. Meeting Barney for the first time feels like he is right next to you in real life. Drones hovering over you feel as creepy as they sound. This one has the most Matrix-y feel to it, with its green and black grids and hacker style gameplay. No way to really describe it. You have to play it to get it. You feel like you are in a Sci-Fi world. The 'hand’ holding your gun, feels like your hand. And finally, if you wanted to know how scary/fun jumping off a building can be, then this is it. 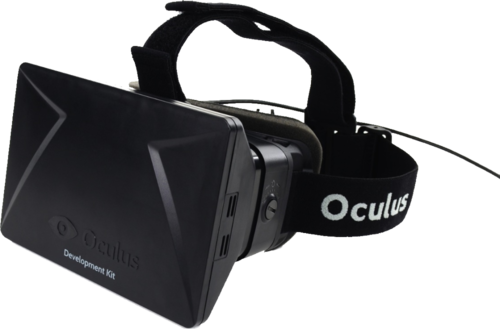 Critics and pessimists will dismiss the current Oculus Dev Kit for the low res and resulting screendoor effect. And yes, you will get motion sick pretty fast. But trust me, the immersion will take your mind away from the pixellation. And if you are ever going to get motion sick in your life, then boy what better way than this.